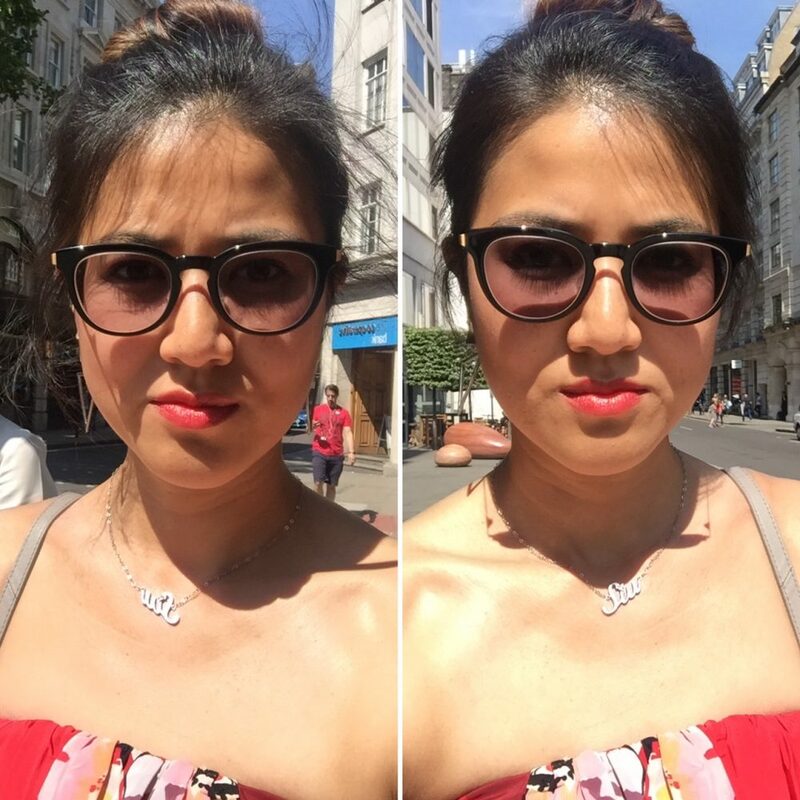 So, how did I come across Bolon Eyewear? It was all the way back in October 2016 when I saw them during Silmo, an optical trade show. I was a fan straight away and I got chatting to the director from China (as the brand is from China). Fast forward to February 2017 during Mido (another optical trade show), I was invited along as the only UK press to the Essilor/Bolon Eyewear launch. Essilor was launching Bolon in the European market and I was glad to hear that because before, Bolon was mostly only available in Asia. Now, I have my very own pair on my face which I have been wearing for over 8 weeks now. So, what do I think of them? There are two reasons why I am doing this review. First of all, Transitions lenses have got four new colours. Secondly, I want to let the world know that I love Bolon glasses. 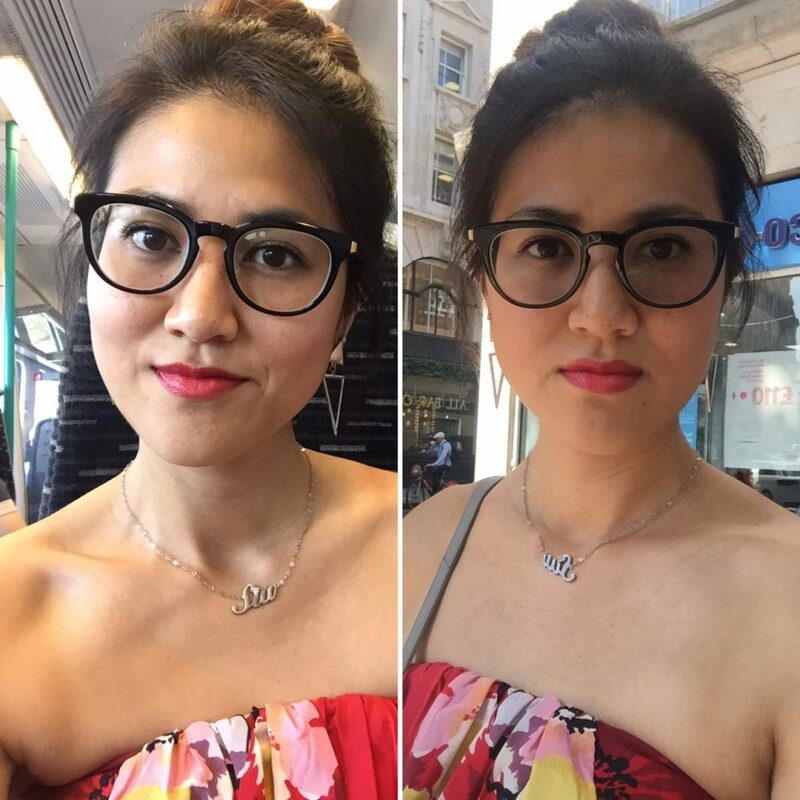 To be honest, I was only asked if I can give my opinion on the Transition lenses, but I love the Bolon glasses so much that I wanted to include them in this post too. I took a series of photos during a day I was in London for meetings. From the train journey where the glasses looked normal to me walking to my meeting in the shade, then, in bright sunlight, they were all taken on the same street. I must of looked mad to keep stopping to take selfies. ha! As I mentioned, transitions have got 4 new fashion colours to choose from, aiming at the younger audience because traditionally they have only offered the standard grey, brown and green. You know, the normal sunglasses colours. However, they have upped their game and are offering wearers amethyst (the one I’ve got), emerald, amber and sapphire. Sound lovely, don’t they? They are pretty great actually. I wanted to try the amethyst because I love that colour and I was impressed. 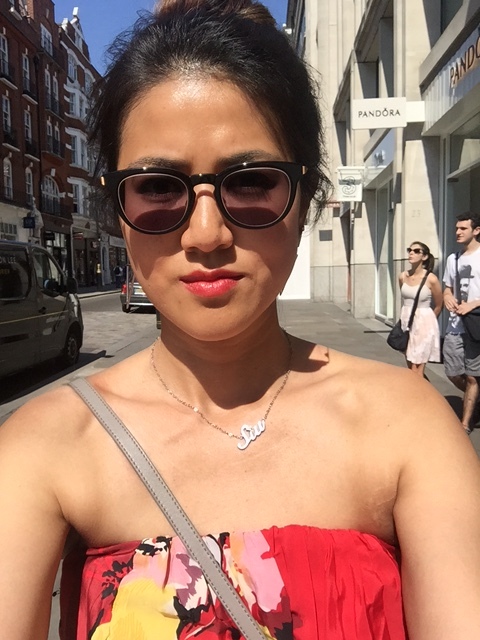 As a wearer, you really don’t feel the lenses changing colour, but I would say, under strong sunlight, you can feel the lenses working and getting really dark to protect your eyes. Everything I was seeing around me still felt normal. It didn’t feel like I was effectively wearing sunglasses, then suddenly I took them off and everything was so much brighter. Going in and out of buildings, the change was so gradual that as a wearer, I didn’t even notice and I think that is the beauty of them. I think on only a few occasions I noticed them going darker because the sunlight from the outside was so strong, so the lenses just got to work straight away, going from light to dark pretty quickly. Let’s face it, we have had some wonderful hot sunshine in the UK (here and there), making it perfect to test them out too. Since the colour of the lenses are pretty fashionable, I didn’t feel silly if they were still slightly tinted when I was inside because at the moment it is all about wearing tinted glasses so I was bang on trend all the time. Then we have the Bolon glasses, I am such a huge fan because wearing them day in, day out for 8 weeks, I have found them to be just so comfortable. They are acetate with nose pads like metal frames, making them perfect for my Asian nose because the normal acetate nose bridges just don’t fit well. With the Bolon acetate is super thin, so it makes them really light to wear. When coupled with the new transitions lenses which are also super thin, the combination of both just made them as light as a feather to wear. They didn’t even leave a mark on my nose as they were that light. I was just really impressed with the whole package and I would highly recommend the combination! A thank you to Essilor for supplying me the glasses with my prescription in order for me to test them out properly. Ask your local opticians about the new Transitions colours which are available now and you can find out more about Bolon Eyewear here. Next ArticlePhillipe Chevallier Eyewear is Back!